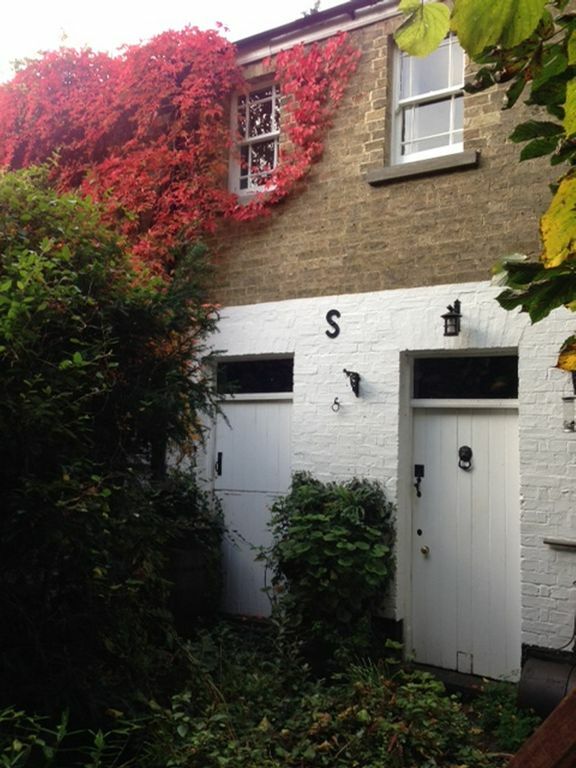 Imaginatively restored this delightful Coach House is full character and charm. Two minutes from Ely's historic cathedral, it is stands at the end of the owners secluded walled garden. Functioning as a Coach House until the 1950's great attention has been paid to the conversion so that original details,such as stable paviors, latch doors, exposed beams and wood floors are much in evidence. On the ground floor there is a kitchen with an old pine dresser decorated with an array of kitchenlia. Appliances include a fridge, electric cooker, microwave and toaster plus all the crockery, cutlery and utensils required. The cosy sitting/dining room has lots of books, digital TV and radio. Location: Ely the historic cathedral city is only 12 miles from Cambridge and an ideal base for touring the Fens and East Anglia. Within the hour there is the Ouse washes which attracts a wide variety of wildfowl and birds. Newmarket for its horse racing and several National Trust properties . . There are excellent rail links to all parts of the country including Norwich, Peterborough, Leeds, Nottingham, Stansted Airport and Kings Cross London & St Pancras for Eurostar. Your hosts are Jenny & Robin Farndale. Semi-retired they came to Ely in 1995. They both have a great interest in history and architecture. Over the years they have enjoyed suitable pictures and ephemera to decorate the Coach House. An historic building uniquely furnished in a quintessential English style. It is centrally located, has parking, and is walking distance from a wide choice of restaurants, pubs, tea & coffee houses, one of the UK's best bookshops and a host of other shops. Only a matter of yards from the 900 year old medieval Ely cathedral famous for its 'Octagon Tower'. Historic town house C1850 with walled garden. Ground floor toilet with wash hand basin. River excursions in Spring & Summer. Ely club half a mile away. The is a Grade 11 listed property so there are cobble stones in the courtyard entrance and two levels on the ground floor. It is about 100 yards from the parking area which is gravel. Although we say unsuitable for elderly or infirm we have had several octogenarians and older staying who have enjoyed it very much. They find the way it is presented reminds them of their youth! There is also a downstairs toilet which they find useful. An unusual house with all that we needed for a weekend stay. Hosts very friendly and helpful. 5 of us stayed and found the house had everything we needed for a 3 night break. We did a lot of cooking and eating, reading, watching dvds etc. Plus visits to the town (right on the doorstep), walking to Wicken Fen. Jenny and Robin most helpful. So pleased you had a good stay. Thank you for your review and positive comments. Do come again! Charming, full of character, very comfortable, with everything we needed. A perfect location for a lovely weekend. Delighted you were so pleased with everything. It was great the sun shone and you were able to have your double celebration in the garden. Thank you for being such well behaved guests and leaving things so tidy. We would be happy to recommend you and hope we may see you again. Perfect situation in a fascinating city, oodles of character but requiring major attention. The Coach House is very different from the scores of self-catering cottages we have stayed in. Every room is fascinating and has so many features to interest and entertain you. We were particular impressed with the rooms upstairs, all with their small en-suites, but perplexed by some bricked-up or boarded windows reducing the light in bedrooms 2 and 3. Downstairs, however, was positively weird. On what turned out to be some of the hottest and brightest days of the year the living room was so dark that all the lights had to be on all the time we were in the house. A combination of blocked out windows, a courtyard full of ancient items protected by a sloping roof which blocked out so much of the light and a garden on the other side of the kitchen which was so overgrown that barely any light could get through meant that you were in a state of perpetual darkness downstairs and had nowhere to sit outside. It just cries out for an elegant courtyard and an accessible garden with a couple of tables and chairs. We longed to sit outside each morning, enjoying a leisurely coffee before setting forth or a glass of wine at the end of the day. The potential is enormous but we have the feeling that the property is veering away from a cottage packed with character and history into a cross, especially downstairs and outside, between Steptoe's yard and a Malaysian rain forest. I'm not sure how we would have coped had we brought 2-3 friends with us, as the present arrangements in the lounge are inadequate, with only one two-seater sofa and just one other upholstered chair and a very narrow table that would struggle to cope with 5 people. We loved Ely and enjoyed our chats with the hosts, Jenny and Richard. Our bedroom was very comfortable and we will have fond memories of our stay, but we left feeling a little frustrated and spent part of the journey home discussing what could be done to turn the Coach House into the very best self-catering accommodation in the city. Thank you very much for your generous comments about the "oodles of character" and "every room is fascinating", however we would like to clarify some of your other points. Firstly when we welcomed you we invited you to use the table in the main garden and we put up the sun umbrella especially so you could enjoy the beautiful weather. So naturally we are a little surprised by your comments. When we set up the Coach House the Conservation Officer would only allow roof lights in two of the bedrooms as he felt it important to retain the integrity of this Grade 11 listed rare vernacular building. The bricked up windows are NOT windows but air vents which we could not take out and the boarded up windows are in fact the original doors, where they used to throw hay down to a cart below, when it was a functioning Coach House. The third bedroom has sash windows with a view of the Octagon which you obviously enjoyed. We are also perplexed by the comments about the seating in the sitting/dining room, because we have had a great many guests often 5 in number, and additional friends, who seem not to have found it a problem. As far as the lighting is concerned we purposely installed more lights to compensate for the lack of light; and we do use long life bulbs. Regarding the courtyard this summer's erratic weather has not allowed us to keep the foliage trimmed as normal. We are pleased you found Ely so interesting and appreciate the trouble you took to give such a comprehensive review. We will certainly bear in mind what you said. For anyone reading this we do have a lot of photographs on this, and our own w/site ,so people can see for themselves what the Coach House is like. We look forward to welcoming future guests and thank you for reading this response. Cottage is like a little hideaway. Very peaceful and comfortable. An amazing experience! So pleased you enjoyed it so much. Thank you for letting us know. Your comments are much appreciated. How kind of you to give us such a generous review. So pleased you find it 'a home from home' and that you will be able to keep returning. The historic city of Ely is the home of one of England's most magnificent cathedrals. Known as 'the ship of the fens' it has been a prominent landmark for almost 1000 years. The Coach House at 17 St. |Mary's street is not only two minutes from the cathedral but is also Cromwell House, The Old Gaol Museum and The Stained Glass Museum. Equally close are a vairiety of eating places, the shops etc. Ely is ideally located for visiting the University City of Cambnridge, Newmarket - the capitol of horse-racing, as well as being within easy reach of the north Norfolk coast and Suffolk with its quintessential English villages. The surrounding countryside has a wealth of National Trust stately homes and gardens..For bird-watchers there is the Wildfowl and Wetlands Trust at Welney; Wicken Fen - one of the few surviving fragments of undrained fenland - is a nature reserve of national importance. In short this unique landscape and its diverse attractions has something for everyone. Please see our own website for Terms & Conditions and a Confirmation Booking Form for deposit details.